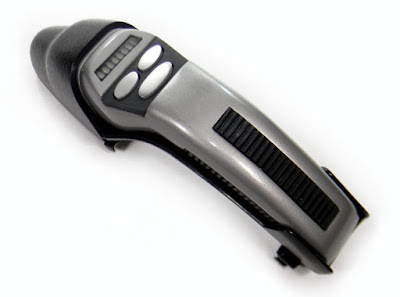 First up is the Picard variant First Contact phaser rifle, which will include "LED indicators, flashlight, phaser emitter light, trigger, rechargeable battery and a carry strap. Internal component details are accessible via underside flip-down panel. Sound bytes, accurate to scene". 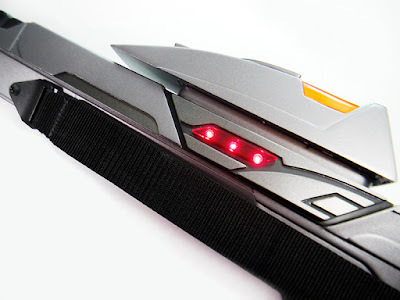 There's also another First Contact variant phaser rifle, which has "LED indicators, flashlight, phaser emitter light, trigger, rechargeable battery and a retractable carry strap Sound bytes, accurate to scene". 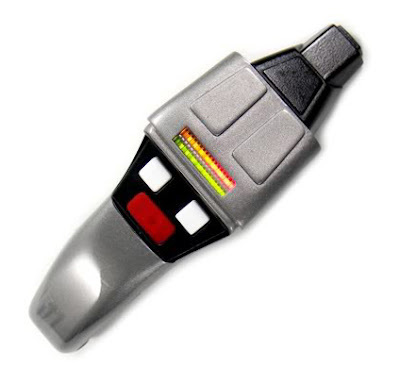 A third design from First Contact is the smaller hand phaser, with "LED indicator, push buttons, working phaser “trigger”, emitter light and a rechargeable battery are all included. Additionally, there's an internal energy coil detail between phaser emitter and panel. Sound bytes, accurate to scene". 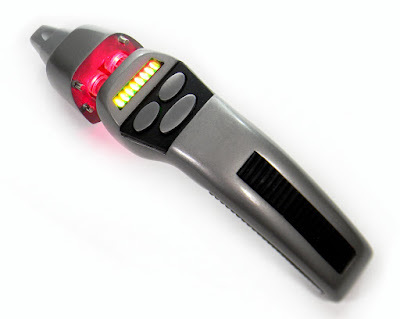 Another hand phaser, from Nemesis will also be offer, featuring "push buttons, a functional LED indicator, working phaser “trigger,” emitter light and a rechargeable battery are all included Also featured is an internal energy coil detail between phaser emitter and panel. Sound bytes, accurate to scene". Another phaser rifle comes from an earlier design lineage, the Siege at AR-558 variant of the TV era rifle. This one has "LED indicators, flashlight, phaser emitter light, trigger, rechargeable battery and a carry strap. 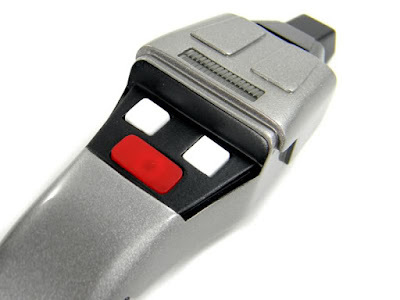 Internal component details are accessible via underside flip-down panel. Sound bytes, accurate to scene". 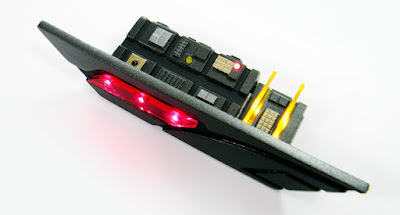 There will also be two versions of the First Contact tricorder, in science or medical versions, featuring "LCD screen, sound, functional buttons to change readouts, LED lights and a rechargeable battery. Science variant to include aluminum hand-scanner with lights and sound effects. Sound bytes, accurate to scene". There are no images of this one yet though. Details of pricing and release dates for all the above are yet to be revealed. I'm gonna guess in the $1000 range. I hope I'm wrong because I want one of those phaser rifles, but I'm sure I'm right. Ships of the Line playing cards and puzzles!